Sudden Sensorineural Hearing Loss (SSHL) also known as sudden deafness is a hearing loss that occurs all of a sudden or over a period of three days. 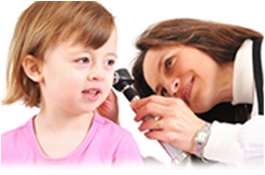 Rapid loss hearing power is a medical emergency which requires immediate medical attention. A doctor can confirm sudden sensorineural hearing loss if he detects a hearing loss of about 30 decibels in three connected frequencies in a normal hearing test. Decibel is a measure of the volume of the sound. A measure of 30 decibel is equal to half the loudness of a normal conversation. Frequency is also another measure of the sound which refers to the number of cycles completed per second in the propagation of the sound wave. Individual sounds are characterized by its different frequencies. Hearing loss occurs in one ear only in 9 out of 10 people who experience the SSHL. Many people experience the loss of hearing only when they wake up in the morning. Others may experience it when they try to make a phone call. People with SSHL feel ringing in their ears or dizziness. Some people recover from SSHL without any medical intervention within a period of three days. Others may recover slowly which may take one or two weeks for complete recovery. But if has been found that at least in about 15 % percent cased hearing loss increases gradually and becomes worse over time. About 15 % of the patients with SSHL know its cause. Diagnosis for SSHL can be based on the medical history of the patient only. There are so many reasons which can contribute for the occurrence of SSHL. But not a specific cause can be spotted for the occurrence of this defect in a particular person. The probable caused for this defects are detailed below. 2) Tumors and other growths in the ear and the structures around it. 3) Spreading of toxic substances through snake bite etc. SSHL is a case which requires immediate medical help. Doctors believe that subjecting the patient to medication immediately on detecting SSHL can lead to a better possibilities for improvement and cure. If the reason can be identified, doctors will be able to start antibiotics and appropriate medications. Doctors may start steroid treatments for patients whose causes for the sudden loss of hearing power are not known. Steroids are useful in reducing swelling and inflammation and help patients who have problems with their immune system. It has been found that reducing the intake of salt through food can also be an effective treatment option for SSHL.